Who posted it? A friend who has visited me here in NYC and enjoyed dinner in my Louisville home several times. I could only respond, “It grieves my heart to see such things posted,” before trying to let it all go. However, the image – and its implications – lingered. Given my long immersion in social justice – “liberal” – concerns, anyone who knows me knows how I voted. And yet, a friend joked about doing harm to people like me. Why? Incapable of answering that question, I headed to the northern end of Central Park. The fall colors being at their peak, I ventured up a pathway to one of the forts that the British had established in the Revolutionary War, and that the Americans later used in the War of 1812. How lovely the sight was! The still waters of The Meer reflected the red and yellow leaves of surrounding trees and the silhouettes of nearby buildings. Breathing deeply, I was glad to be standing upon such high ground. As I sat on on a bench, I imagined the soldiers of years past using that vantage point to espy their enemies as they might approach. That image then revealed a metaphor I hadn’t expected. I was standing on high ground that was once used to identify and then attack an enemy. The words “high moral ground” came to mind. Oh my, I couldn’t help but wonder…. Is that what we’ve been doing? All of us, standing on high moral ground? With that thought in mind, I looked to the west, towards the other two forts along that rocky area. Atop the furthest one, Nutter’s Battery, I imagined a group of people known to strongly defend and protect their own highest value – the Second Amendment. Yes, I could see the NRA and their most avid supporters atop their high moral ground, ready to attack anyone and everyone who would come near them. In allowing that image to take hold, I realized that they perceive everyone who supports gun control as their enemy, even the parents of children who have been killed in a classroom. Atop the other hill, on Fort Fish, I saw another group, pro-life advocates. In defending the lives of unborn children, they are absolutely convinced that they stand on the highest of moral ground. And how tenaciously they cling to that ground, seeing anyone and everyone who suggests otherwise as enemy – even pregnant women themselves. They’ve become incapable of seeing the significant ways they threaten, even imperil, the lives of so many women while in their defensive posture. And, then, I had to admit, if other people are doing such things, surely, I, too, may have stood on high moral ground myself. And so, standing atop Fort Clinton, yes – that is its name – I needed to ask, on what moral ground have I stood? Seeking to answer that question was so very challenging – not because I cannot name the values and principles which I so dearly treasure. My protests against the Afghanistan and Iraqi Wars, my teaching social justice in a high school and the many hours I’ve spent serving refugees, Appalachian communities, homeless men and women, and inner-city families touched by HIV all reveal my principles, my highest morals. I must ask, in defending my values, whom have I allowed to become my enemy? What cannons have I aimed at them? What rocks have I hurled? NONE! I want to declare. Or, at least, none that weren’t well-deserved. Or, at least, none that truly hurt anyone…. after all, I choose my words so carefully. However, if I can see so clearly other people standing on their high moral ground, I cannot deny that I have stood on such ground, probably attacking my own enemies. But what am I to do? Am I to leave those values behind? To say that now I stand for nothing? Of course not! Values and principles must be upheld, promoted and protected. So what am I to do? A few days ago, when I noticed an article in NYT about the rise of alt-right groups claiming victory in this election, a course of action arose. I decided to share it on Facebook. First I told my conservative friends that I respect their decision because I assume they don’t stand for such hate, and then I requested that they let the president-elect know that those groups do not represent them. There, I thought, I was being considerate, while also making clear my concerns. Within an hour, though, I was admonished by one of my liberal friends. Apparently, she took offense that I said that I respect the choice to have voted for Mr. Trump. As I read her remark, I noticed that another had clicked a sad face for my post. It seemed that in trying to communicate with “the enemy,” I was deemed to be no longer one of the liberal team. I felt as if I were being pushed right off “Fort Clinton,” and down into the trenches. Confused, I deleted the post. But what are we to do? Of course, my FB conservative friend doesn’t want to hurt me or anyone else. However, whenever violence can be laughed at, well, that’s a problem. Even worse, some people have already been attacked, mostly those alienated by Mr. Trump as he campaigned. That violence and the potential for even more must be stopped now. To do that, we must lessen the anger that now rages among us.And here my metaphor spoke to me. Somehow, we must find it in ourselves to trust each other so that each of us may descend from the forts we’ve built. A beginning point for both sides of this matter may be to put aside the accusations, the name-calling, the condescending jokes, and anything that hints at violence. Only then, in standing upon common ground, will we be able to respond appropriately and united to the many issues now arising through our president-elect’s recent choices, choices that will hurt all of us, it seems, except – maybe – the very rich. Only then, once we have disarmed ourselves, will love, indeed, trump hate. Longing to trump hate? Become love! This past week, I felt I had been forcibly ejected from my own garden and into a world I do not know. More specifically, it seems I’m in a dense forest where I am incapable of making sense of all that surrounds me. Overwhelmed, I’m tempted to locate a snug den, a deep cave, where I can hide and protect myself until this whole thing ends. Such hibernation, though, serves no one, and so I must venture further in – but where? How? The path ahead seems so uncertain. I’ve been told by some that it’s time for us to protest, to take to the streets to let our voices be heard. It’s cathartic, people tell me. Furthermore, they insist, because such protests play important roles within the legacy of social justice, we must accept our own responsibility. I see the truth in all they say, and yet, I hesitate. In fact, when I bumped into a protest occurring in Midtown the other day, I didn’t join in, even though I participated in some of the earliest protests against the war in Afghanistan. Why not? The goals seem uncertain; the tactics too varied. Those of us who didn’t vote for Trump are not the only ones who see this image; neither are we the ones who control what others see. The signs people carried varied widely. Probably, the most striking was a hand-written one obviously made by a child that simply stated, “Boo Trump.” However, the two or three “F… Trump” signs present couldn’t be ignored – and they won’t be, not by any media unit that seeks to show how hateful, ugly and disrespectful Trump protesters are. Given the violent connotations of that word, our claim that our protests are peaceful and non-violent is discredited. Even worse, such a sign gives many people ample reason not only to condemn the march itself, but to hate those comprising it. We also cannot control the message reporters choose to emphasize. The next day, I cringed as I read a New York Times account. The reporter noted that one of the apparent leaders of the march admitted that many had not even voted. My heart sank because I had to ask the obvious question: Why, then, in having not fulfilled their civic responsibility to act as informed citizens, do they expect to be given their right to protest in whatever way they choose? I could see the many ways conservative media outlets could manipulate that fact. Even more reasons to distrust, even despise, protesters now exist. Therefore, because I do not want to magnify the media’s ability to promote and increase the hate that now exists, I will not march… yet. I will march when we act in ways to fulfill the promise of the sign that far outnumbers all others in these protests: Love trumps hate. And I know its possible to fulfill it. I have seen it happen. Many, many years ago, when I was no older than 5 or 6, early one evening, my mother, who was watching the nightly news, began calling out, “Bernie, come here! You’ve got to see this!” Of course, I stared at the screen myself. On it, firemen were aiming big hoses at a crowd of black people. Even women were thrown back by the water’s force, and then onto the sidewalk, where they curled up in balls. By the time my dad joined us, my mom was crying out, “That’s not fair! That’s horrible. They only want what we want!” Due to the fact that nothing within those protests could justify at all the violence directed towards the marchers, my parents could see for themselves the brutal and dangerous injustice they faced. And, in that moment, my parents’ hearts were cracked open. Love, indeed, trumped hate. Although they never became activists, I’m pretty sure their voting habits changed. Neither did they raise my brothers or me in a racist, hateful household. Therefore, rather than rushing to the streets so that we can release all these emotions that now rage within us, let us truly follow the paths of the justice-advocates before us. Let us become the love that trumps hate. We must calm our emotions so that we respond to the many threats now arising, rather than reacting immediately, sometimes without wisdom or integrity. We must also put aside our own egos and our insistence that each and every one of us has the right to speak and act as we please. Once we accept the discipline and humility required to be led, both wise elders and young prophets will come forth to train us, to inspire us to endure whatever anger and violence others may cast upon us. And they will unite us in vision, goals and tactics so we may move forward as one body, one mind, one heart. We will become the love that will trump hate. As for me, the path ahead emerges – there is a way out of these woods. Fear subsides; hope increases. Right around 3:00 a.m. on November 9th, I saw that the unthinkable had happened. Donald J. Trump attained 278 electoral votes and Hillary Clinton conceded the election. How could we have done this? How could we have just elected a man who had spent months promoting racist, sexist, xenophobic notions, almost all built upon lies? Where am I? I couldn’t help but wonder. Surely this couldn’t be the United States I know and love, not the country so widely revered for its devotion to freedom for all. Of course, there had been warning signs. I saw them. In his rallies, when Trump mocked a disabled reporter, people laughed; when he encouraged people to rough up protesters, they did; when he called for a return to law and order, they cheered; and when he even admitted to groping women and rarely – if ever – paying taxes, they shrugged. Clearly, the man appealed to people. Yes, I saw all that, but this too I knew. We had come so far as a community. Rather than teasing the disabled among us and taunting foreigners, we increased accessibility to both groups, and benefitted greatly from their labor and talents. Instead of bullying each other into submission, we peacefully protest wars and unjust treatment, and celebrate LGBTQ weddings. Realizing that the ruthless crime bills of the past were decimating neighborhood and lives, especially those of color, our community leaders have begun to repeal “stop and frisk” and “three strikes you’re out” policies. And as for greater respect for women – well, his opponent was our greatest symbol of just how far we thought we’d come. Everything I held to be good and true had been completely uprooted. How could this have happened? How could you do this to us?? But who were the “you”? Our analysts tell us that it was the white working class – non-college educated men and women – who most supported him. They were the ones who marched into our polling places eager to elect someone who promised to make their America great again. None of the rest of us saw or understood their passion, their determination to uproot the system. We didn’t see it coming – not at all. But this I’ll admit, I should have. In having been raised within a working class family by parents who never went to college, I once lived in a home where money was earned through hours clocked, not a salary contracted, a social class which valued strength and common sense, not book-smarts and good manners, a life where everything could be threatened by a lay-off, an accident, or a politician’s refusal to respect laborers. Yes, I remember that experience well. One Saturday morning stands out. For over two hours I sat crying at the kitchen table after having broken both arms. The day before my dad had been laid off, so, without health insurance, they needed the cheapest hospital, a search that took time. That delay cost them. My arms swelled so badly that I was admitted to the hospital where I stayed for three long and expensive days. In fact, as I was growing up, my parents’ very lives were threatened more than once by low pay, unexpected lay-offs, and heavy tax burdens. Fortunately, given the arc of their lives, when they retired in the early 1990’s, they possessed ample savings, and their combined benefits covered most of their needs. In contrast, a generation or two later, those who would be their peers do not have such resources. Well-paying jobs have been made obsolete by technology; manufacturing plants moved; robots eliminated much of the need for skilled labor. Once respectable service jobs are now viewed with disdain and rarely provide living wages. Routine, even sacred, benefits are inadequate or even nonexistent. In short, women and men who do not attend college – of any ethnicity – no longer have the ability to create and sustain stable and secure lives the way my parents’ generation eventually did. I must ask myself – if I had never won the scholarship that allowed me to attain a college education – what would I be doing now if that were still my reality? At the very least, shouting, even screaming for attention, for justice. I may even have voted for Trump, the one who says he’ll bring back jobs, hold companies liable, make such a life great again. That last thought humbles me. It forces me to realize this: long before this election, other people were ejected from their beloved gardens of security and safety and into a cruel world they did not know, a world which – by all indications – no longer valued their labor, their service, their very lives. That world, however, was actually already populated by many of today’s targets of Trump’s cruel jests, people who had never been able to reap the riches and rewards of our society. Rather than accepting each other as victims of injustice, though, the inhabitants – both new and old – believed those who told each group: “There is your enemy! He is to blame for your suffering!” And so fear, hate and despair flourished. And we are where we are. In having been ejected from my own small, safe world and into this one: what am I going to do? Am I going to blame others for creating this mess? Reject Mr. Trump as “my” president? Allow self-pity and fear to conquer me as I struggle to stand in this new place? we are “many members, yet one body,” and so, “if one member suffers, all suffer together with it,” * regardless of who that person may be. It’s time for us to work together to unite the many states of mind among us. Only then may the collective insight, wisdom and compassion we so desperately need arise. Only then do I believe we can overcome what we’ve done. *lines from 1 Corinthians, Chapter 12. Recently, I had the opportunity to lead the senior ministry team of The Riverside Church on a tour of Central Park’s north end. 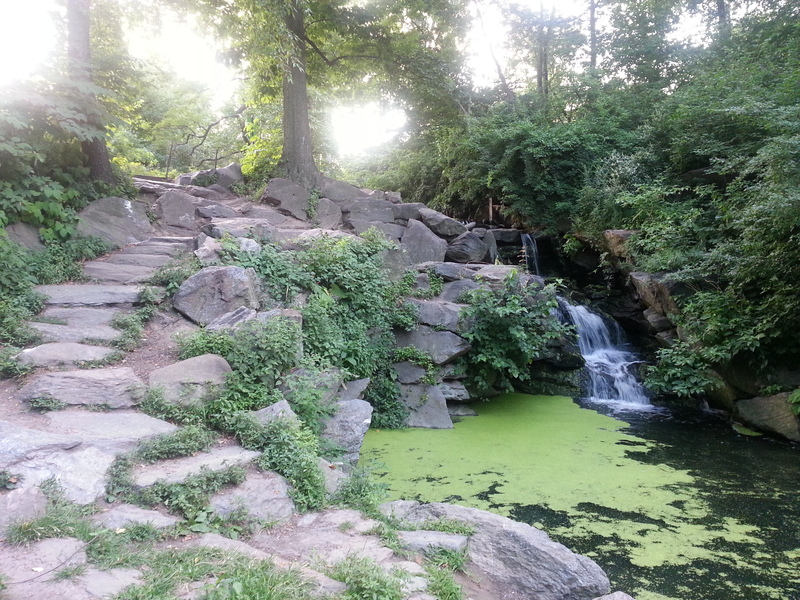 Having met at the Harlem Meer, we ventured over to the Conservatory Garden, before meandering along the paths that connect the forts, and then down past Lasker Rink and Pool. When we reached the parking lot behind the complex, a few participants thought we would head up the drive to our left so that we could walk the main road to which it led. As soon as they looked to the right, however, they knew that was not the plan at all for before them was the most magnificent arch in the park: Huddlestone. Like the other 35 arches and bridges, this one was designed to provide an appropriate transition for what lie ahead, in this case, The North Woods, one of the most natural areas within the park. Needing to communicate something of the rustic beauty that lies ahead, Huddlestone Arch consists of boulders, each sitting one on another, with no mortar cementing them into place. The rocks’ mottled coloring, the plants growing through the cracks, the uneven but beautiful lines drew us near, teasing us with a glimpse of what was to come. We paused for a moment in collective awe, and then, knowing only gravity and pressure prevented the boulders from tumbling down, we entered, only to stop again. There, embedded in the wall was a rock that some estimates place at 100 tons in weight. Immediately we wondered aloud what came first: the rock’s original location which invited such an arch to be built or the arch’s design, one the planner knew would be enhanced if that rock were moved right there? Regardless, it was now quite apparent that the rock was an integral part of the arch – and of its experience as well. Truly, no one could pass by without pausing to wonder about its mass. Of course, that day, we soon moved on, continuing our tour into the North Woods. Recently, though I’ve had reason to return to that experience, to see what it may teach me as I process my most recent life decision. Little did I know what that rock would offer me. A little more than two and a half years ago, I joined a group with the intention of making a life-long commitment. How eager I was to become a member, to participate in their life-giving activities, to be part of a vibrant community striving so earnestly to transform our world. 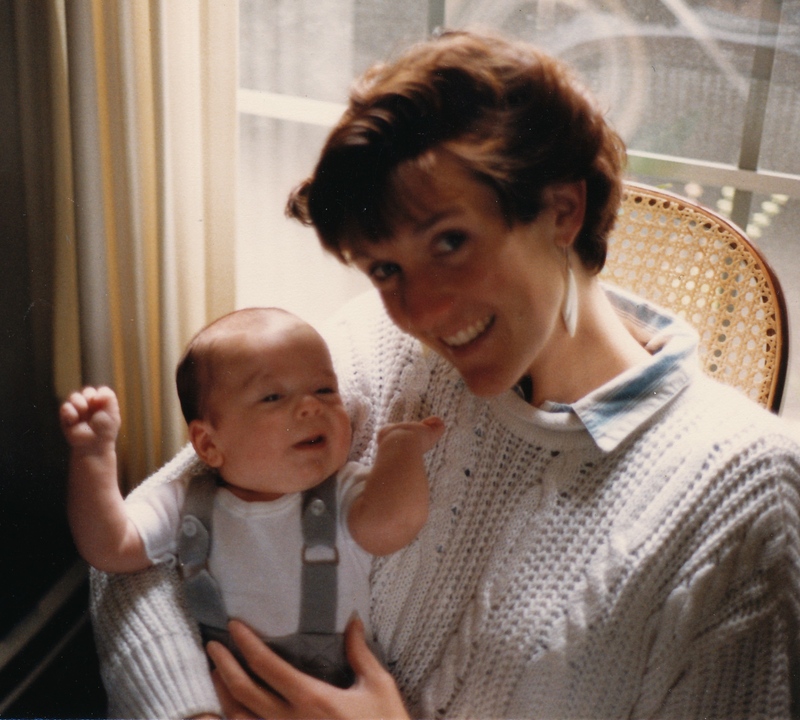 Through it I hoped to gain both identity and purpose, while contributing mightily to its work. I embraced my new community and role with gratitude and joy. Over time, though, as I entered more deeply into the experience, I needed to move further into its structure, into the back rooms, per se, where the work gets done. Usually when we enter such rooms, as everyone must when s/he joins a new community, we find that although imperfection exists, we can accept the methods, the goals, the culture that drive it. Sometimes, we cannot. Sometimes the deeper we enter into the backrooms, the more and more uncomfortable we become. Sometimes that discomfort reaches the point where we must admit that we just don’t belong. That is what happened to me. I could not remain, and so, I resigned. In doing so, I am, of course, stuck with the consequences, the primary one being the question: What now? “Enter through the narrow gate; for the gate is wide and the road is easy that leads to destruction, and there are many who take it. For the gate is narrow and the road is hard that leads to life, and there are few who find it.” (Mt. 7:13-14). I am standing under that arch, ready to begin a new journey, only because I could not find my place within that other community. walk away, unaffected by all that had occurred. Yes, of course, grief was appropriate to claim. As for all the other emotions, well, as I said, I’m a “loving” person….. But this, too, I must admit: if I don’t claim and work through all those emotions, I run the risk of allowing them to become so entangled that bitterness arises, a bitterness that may have the power to prevent me from taking a single step on my new path. In seeing that rock, however, I see that the entire experience I had with that group, good and bad, is now not only what pushed me out of the community: it is what’s holding up the gateway to the next phase of my life’s journey. First, humility enters into my heart. What right do I have to be angry at “them” for not fulfilling my hopes and expectations? Of what use would it be to nurse the wounds I felt inflicted upon me? Such self-absorption not only denies what the rock teaches me, it would prevent me from passing through the arch, the narrow way into new life. Gratitude emerges, gratitude for all I experienced, all I learned, and all that brought me to this place. I see that rock, now, as the symbol of all the emotions I have felt during my entire experience, including the earliest ones of joy, abundance and deep admiration. Rather than it becoming the rock which I, consumed by bitterness, would have longed to throw, it has become the foundation upon which I build my future. Peace enters my heart. Not only can I walk away from the experience without bitterness; I can do so knowing and cherishing the vital role it has played in taking me to this new place. And so, in bowing to this rock and that community for all they have offered me, I move on, eager to leave the darkness, eager to step into new life. Of course, I cannot know what actually lies ahead of me now. But this I do know. The path that runs through the North Woods does lead us by peaceful waters, along which we may pause to rest, before coming to another arch, Glenspan, and, oh, what a vision it offers! All, indeed, shall be well! The Nothingness of Being One in 8.4 Million…. Within such an astounding population, who am I really? Of what relevance or even significance is my own brief existence, my own short story of life? Those questions actually haunted me those first weeks in the city. With only our doormen calling me by name, I couldn’t escape the anonymity of my situation, especially since life in Manhattan is very different from that in Louisville, KY. There, not only could I expect to see several people I knew at my local grocery store, regardless of the timing of my errand, I could also strike up conversations with the clerks behind the counters. Here, I quickly learned that one rarely sees the same people and those who work, work. 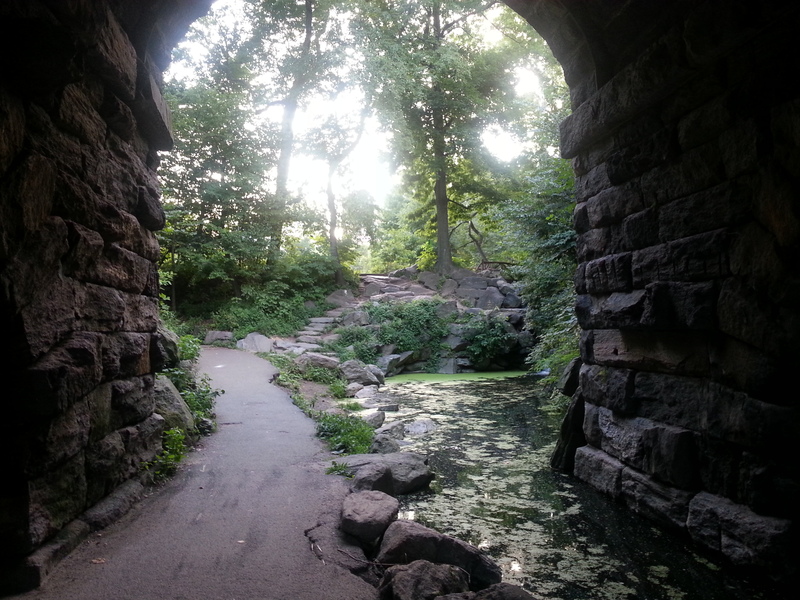 To fill my considerable free time, I went often to Central Park, mostly to explore on my own, sometimes to take a tour offered by the Central Park Conservancy. One day in particular stands out. In having ventured into the North Woods, I found the perfect perch atop a 450-million-year-old boulder of manhattan mica schist. As I listened to the afternoon song of a nearby bird, I became aware that other than the faint whispering of distant traffic, no other indicators of the city itself were present. In fact, I was alone, completely alone in that borough of 1.626 million people. Basking in that moment of perfect solitude, I reflected upon some of the facts I had recently learned on a tour of the park. Designed by Calvert Vaux and Frederick Olmstead in 1858, it consists of 843 acres, running from 59th St. to 110 St, and between 5th Avenue and Central Park West. Its initial construction may have taken only 15 years or so, but its upkeep has been continuous and reflective of the city’s economic trends. 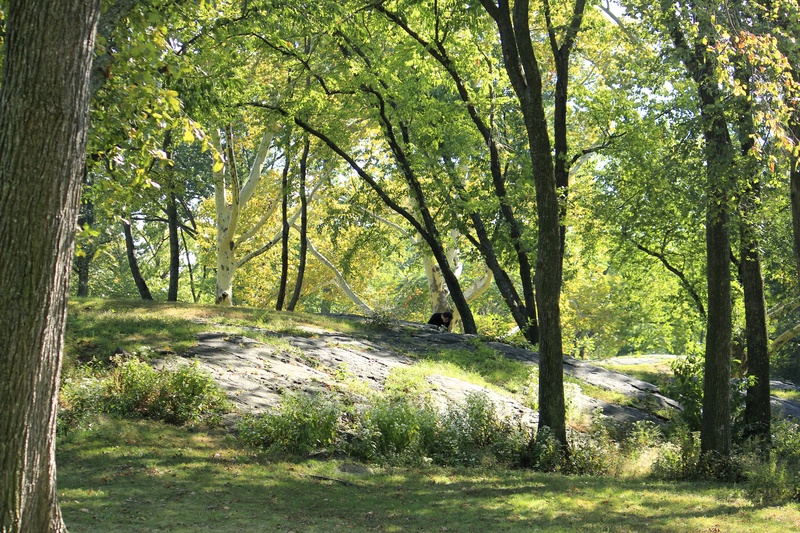 When the city thrived, so did the park; when it struggled, the park’s neglect could be striking, the worst occurring in the 60’s and 70’s, an era of such disrepair that it inspired concerned citizens to create the Central Park Conservancy, the organization that currently runs the park through a partnership with the city and its people. Possibly, though, the most interesting detail I learned was this: other than the rocks in the park, nothing else is natural to the original state of that piece of land. Everything, absolutely everything, was intentionally designed, structured, built, and planted to fulfill the designers’ vision. Even the water in all the Park’s lakes, ponds and streams comes from an artificial source, the city’s water system. Taps and drains are used to maintain water levels and the health of their surrounding eco-systems. In recalling that fact regarding the park’s artificiality, I pondered the many, many people who have been responsible for my ability to experience a moment of solitude in such natural beauty. Yes, Vaux and Olmstead planned it. Yes, specific people designed particular elements within it, Jacob Wrey Mould many of the park’s arches and bridges, and Emma Stebbins the Bethesda Terrace fountain, “Angel of the Waters,” to name only two. And, of course, many wealthy donors have supported the Park throughout its history, their many names commemorated on the Park’s plaques, benches and paving stones. On that day, however, my attention focused on the thousands of people, who through their sweat and labor, brought the dreams and visions of others to life. These were the men who drained the swamps that once pervaded much of the area and then lay miles of pipes to maintain the new landscape. 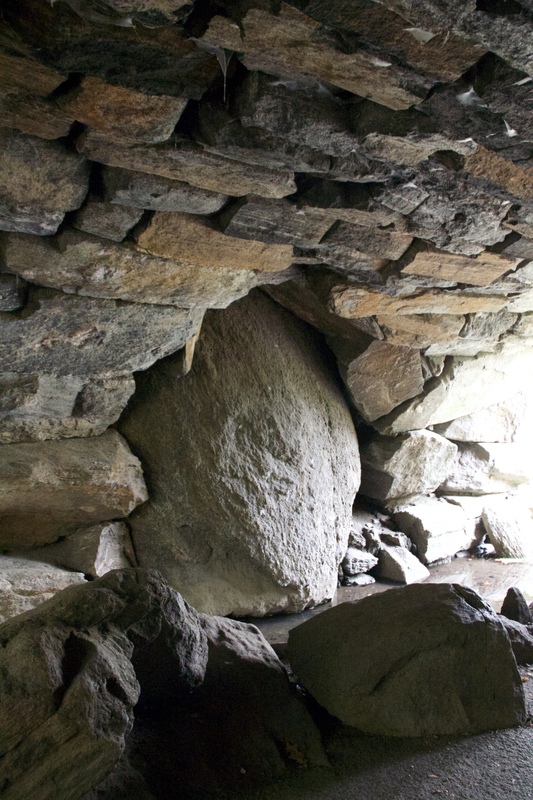 They, too, bore through yards of rock to create the tunnels through which the city’s streets could cross the Park without breaking it into distinct segments. Others crushed tons of that rock to pave the many paths and roads that ramble through the Park, while still more carved out steps, poured concrete and planted thousands of flowers, plants and trees according to the plans. In reflecting upon the contributions of so many unnamed folk, most of whom were paid less than $1 for a ten-hour day, I couldn’t help but be grateful. Now nameless, indistinguishable from each other in the texts of history, it was these people who were the foundation of what is today Central Park. Without them, I would not have been on that rock on that beautiful day, experiencing such a moment of ideal solitude within a city of millions. Without them, those people whose names we celebrate would never have seen their own visions fulfilled. Without them, the legacy that is Central Park would not exist. What has been my own role within our collective community through which dreams and ideas not only come to life but also bring forth a shared legacy? Humbly, I must admit, it hasn’t always been a gracious one. So focused on attaining my own identity, my own dreams and goals at times, I have overlooked not only the gifts of the community, but also its needs, forgetting that, even if I happen to stumble upon that one idea that will be my hallmark, whatever I achieve will be entirely dependent on the support and efforts of so many others. Sadness filled me as I realized that in being so focused on the need to promote and defend my own efforts, I may have trampled those of another person, not only one who may help me, but also another whose own gifts and ideas may surpass my own. A certain peace arose as well as I realized something else. I need not worry about establishing an individual identity that will be known for generations. 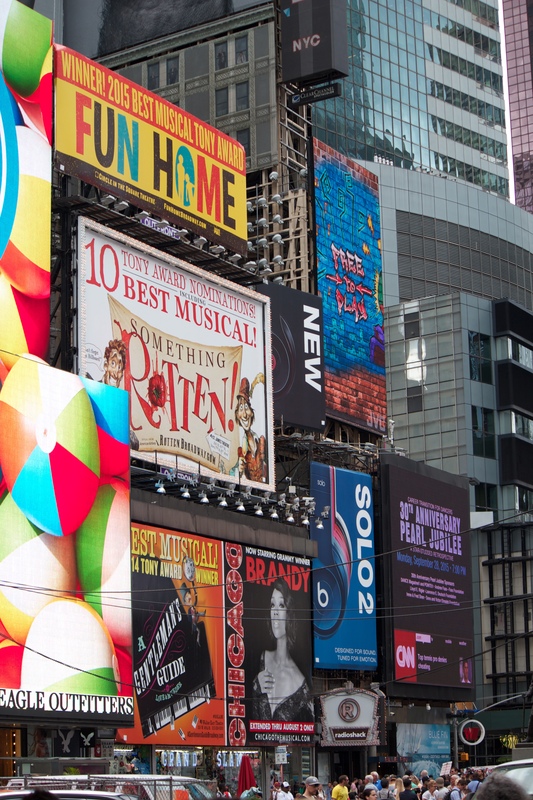 I need accept my life only for what it is – one in a thousand or so in Times Square, one in seven billion in the world – and to accept the responsibility of fulfilling my unique role within it. In doing so, I commit myself to the legacy we create together, each of us having distinct roles, some through which a few names will be remembered, the vast majority of them not. Whether or not I am one of the named is irrelevant. What matters is the relevance and the significance of our shared legacy, one, I hope, that will ensure our planet’s health, enhance all life, and weave together in peace all our myriad communities. I am seriously starting to wonder if bearing a child in this day and age would actually be a demonstration of selfish behaviour. The mere prospect of the ways in which my partner and I will HAVE to educate our future child (who, but for a random genetic anomaly, will inherit a complexion darker than his or her privileged counterparts) gets progressively more disgusting every. single. day. In knowing her as a loving, gentle and creative soul, I ached as I pondered the ramifications of her thoughts. Has it really hit the point in our society when a woman and her partner would deny themselves the joy of creating and raising a family? Sadness loomed. And immediately I wanted to respond, to reassure her that she need not fear so much…. to point out that many people throughout history have asked that very same question given the horrific contexts which they faced. I wanted, too, to tell her that parenthood is never without threat, regardless of the key identifiers of a family and its members. Death can come at any age, for many reasons. No parent is free from that threat and the perpetual grief it brings. What can I do to change the reality she faces? In that moment, my own sense of insignificance, of nothingness, grew as I wallowed in that self-pity, for that was what my grief quickly became. Yes, I love that woman, a relatively new friend of mine, dearly. And yes, if I had the power of – let’s say – a politician or a celebrity, or the money of so many of my Manhattan neighbors, I would pour all I could into supporting whatever drive, program or campaign that could somehow address this matter. But who am I, I groveled. Nobody but a 50+ year-old white woman who doesn’t even have a job. Oh how I pitied myself as I wallowed in that sense of nothingness. I even decided that it’d be best to delete that potential post altogether, given that it could be viewed as yet another condescending attempt to brush aside her very real concerns. But then, as I was ready to simply let the matter go, of all things, a bible story came to mind, Mark’s rendition of Jesus feeding the five thousand. In it, when the disciples told him to dismiss the crowds so they could get food, Jesus replied rather bluntly, “You give them something to eat” (Mk 5:37). When they balked, Jesus took over. I couldn’t help but see myself as one of the disciples, convinced that I have nothing to offer, or at least so little that it would make no difference. And there it was, my excuse. In reality, as a living breathing human being, it is a lie to claim I can do nothing. Rather, the reality is this: I can only do one small thing, not all that is needed, but something. And, in holding that thought just a bit longer, I had to admit an underlying fear. What if when I try to offer my “something,” someone laughs at me, dismissing my efforts, ridiculing my attempt? Worse yet, what if a peer or acquaintance becomes so angry with what I try to offer that they reject not only my “something” but me as well? Wouldn’t it just be better for me to do nothing, to be nobody, than to risk such derision and rejection? No, my heart insisted, no! In fact, it drew my attention to one other point I was considering for my original post. I wanted to tell her that if, indeed, she and her partner choose to have no children due to the hate and violence projected by others, then, those perpetrators win, having obtained the ultimate expression of oppression – not only the destruction of life, but the obstruction of life at its very beginning. And if that is what “they” are allowed to acquire, then, not only does my friend lose, we all lose. How much joy, how much love, and how many wonderfully unique individuals will creation be denied if she and her partner – and so many others pondering the same reality – decide such a sacrifice is needed? And that is why I can’t expect her to bear that burden alone. Not only do I want her to experience all the joy and beauty I have as mother, I want our world to be deeply blessed by the gifts her children will bring to us all. And so, somehow, in some way, I will find something I can do to address this situation, even though, right now, after having wrestled with the matter for a few days now, I don’t yet know what it is. And that’s humbling. But here it is….one more way in which nothingness manifests itself; one more battle that must be fought. How many of us in looking at the many issues of our times – this one of racism included – in being so overwhelmed by their magnitude, decide that there is “nothing” we can do and so, convinced that we’re nobodies, opt out? Too often I’ve done that. It’s time to change. I may not yet know what I can do for my friend, but, I trust, my “something” will make itself known, and, I hope, you, too, begin searching for your “something,” the means through which you offer your self in addressing an issue dear to you.